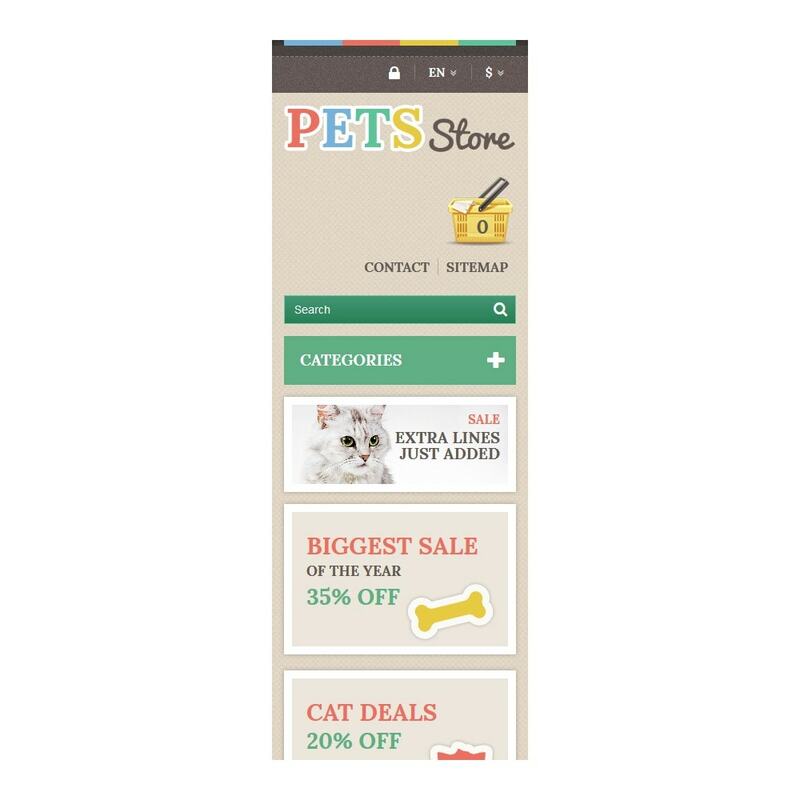 This pets store has a very positive look. It is reached with the help of colored elements and cute animal photos. 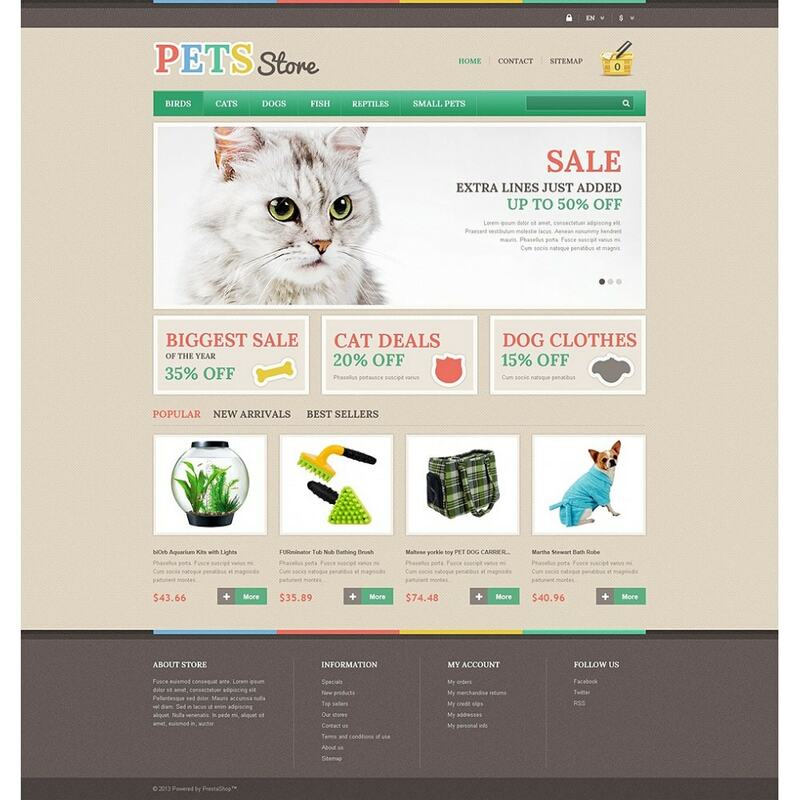 Pet store PrestaShop theme background is textured. 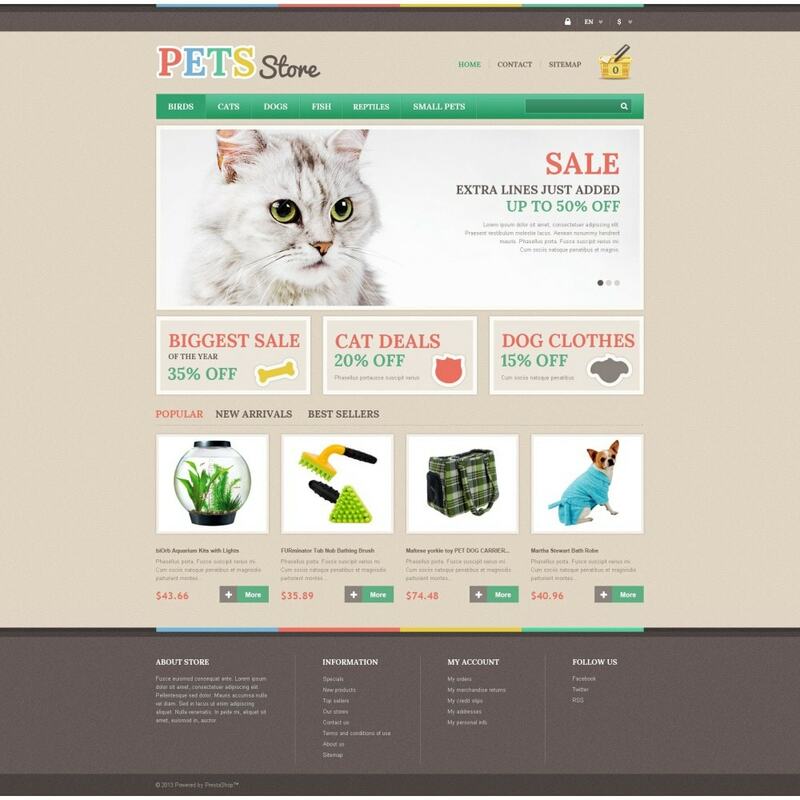 The author uses frames and stitches to separate different content blocks. 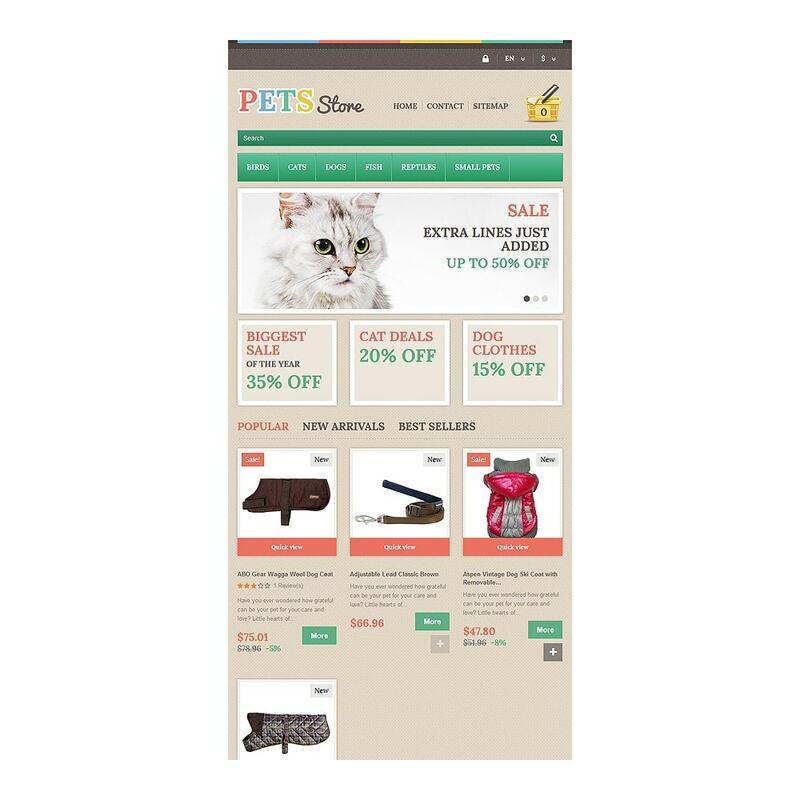 Slider shows discounted pet items. 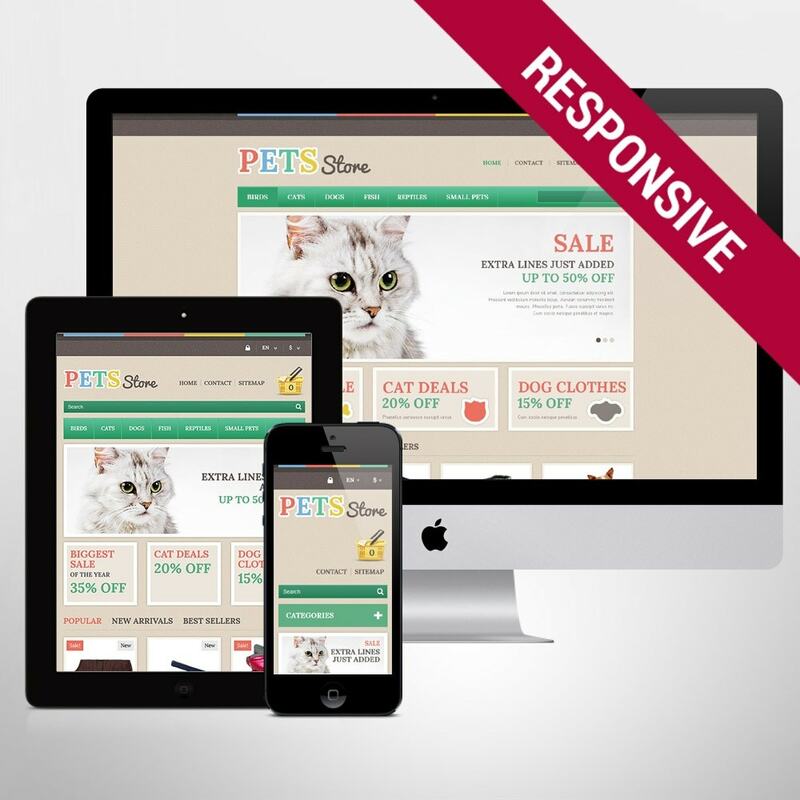 Three promo banners and footer links enhance website's navigation. 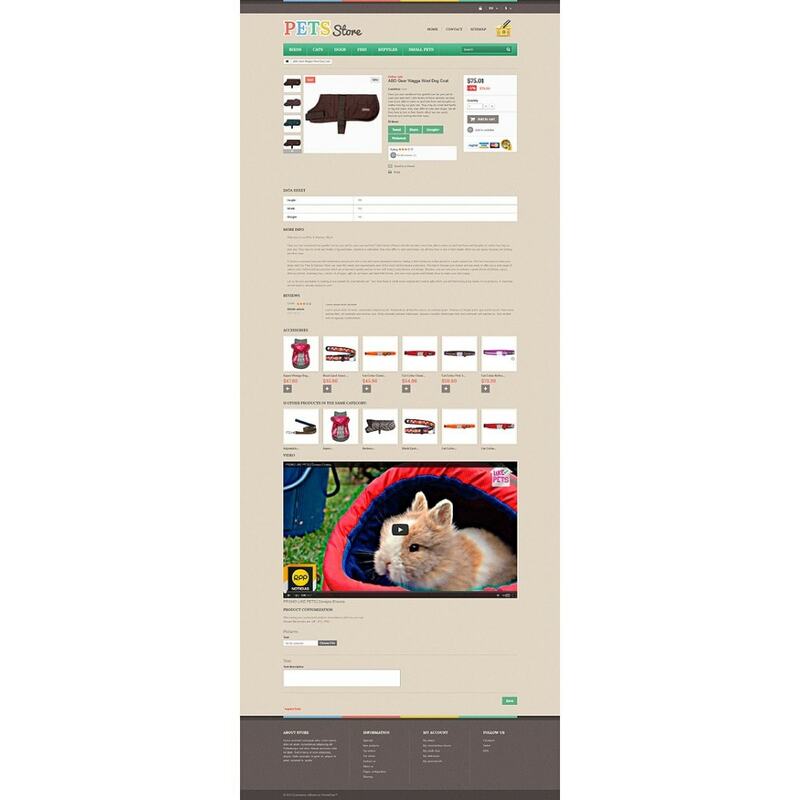 Featured products come with descriptions, prices, 'Add to cart' and 'View' buttons. 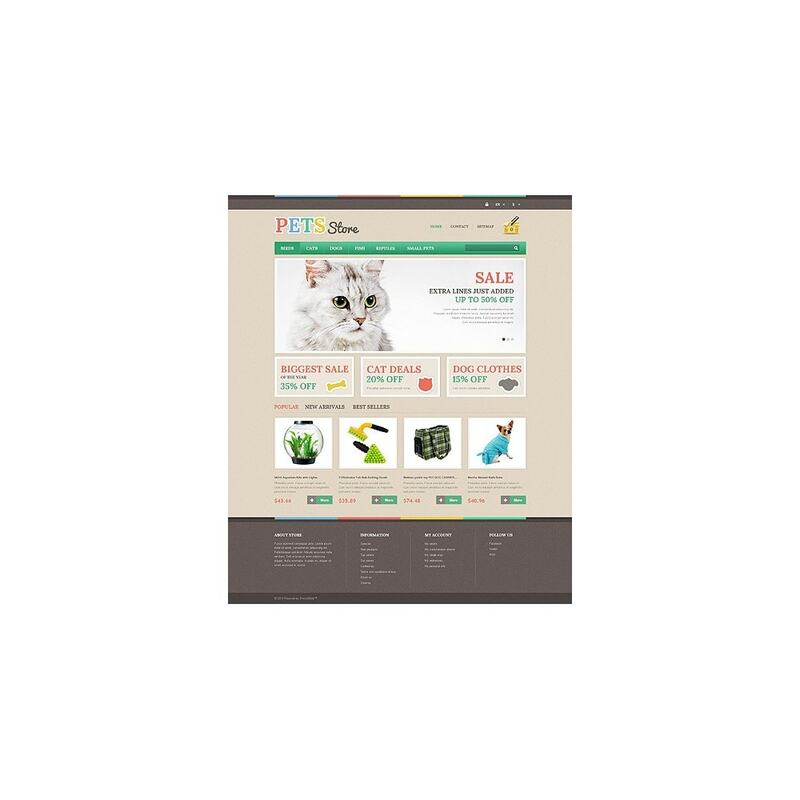 Information about the store can be read at the left bottom corner of the page. 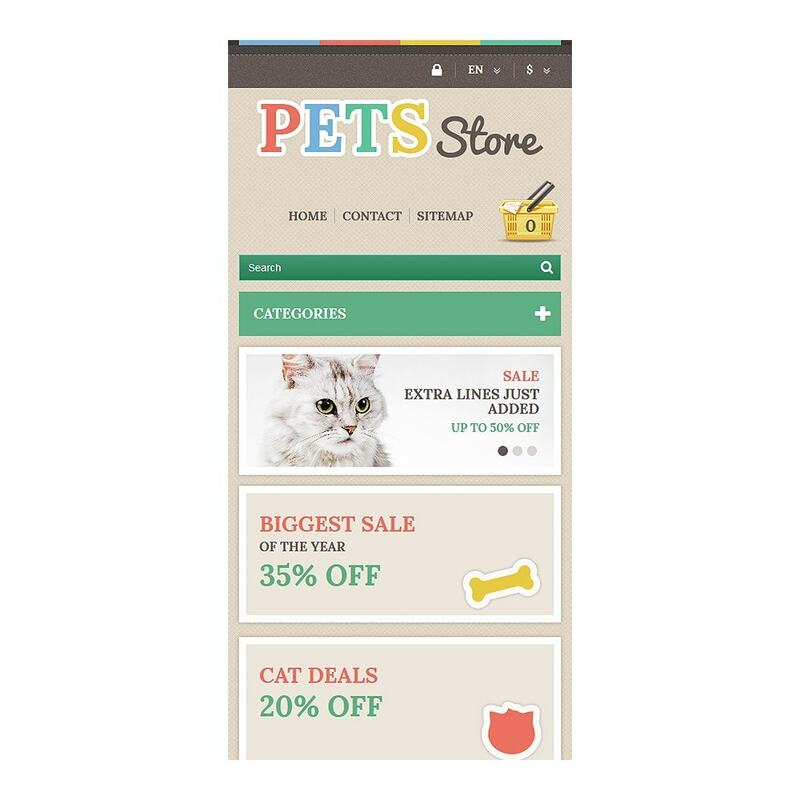 Use this template for pets, family, beauty and fashion stores.